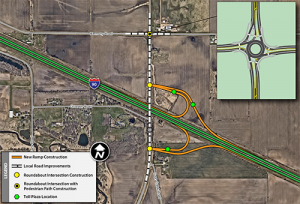 The $33.4 million Illinois Route 23 Interchange Project on the Jane Addams Memorial Tollway (I-90) in Marengo will create a new, full-access interchange with local road improvements, including construction of roundabouts. Work is scheduled to begin in March 2019 and be complete this fall. For more information visit the Illinois Tollway Website. Please provide your e-mail to receive City newsletter and updates. This is a new website for e-pay, Be Sure to update your browser shortcuts and/or favorites link. Join the 2020 Census Team- Jobs Available! The United States 2020 Census is in need to fill office and field positions. For more information or to apply you can visit 2020census.gov/jobs or call 855-job-2020.